www.autofinders.co.uk has ready for March '12 plate' registrations a batch of brand new Skoda Yetis, very rare and in very high demand, yet still with discount. A choice of models available now, all brand new Skoda UK supplied vehicles, full Skoda UK warranty and breakdown cover, 12 months road tax and 1st registration fee. ALL BRAND NEW CARS, NOT PRE-REGISTERED. 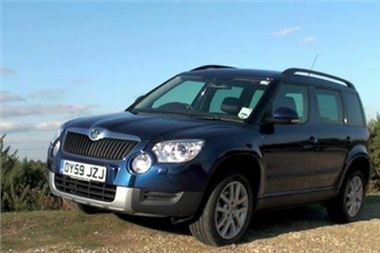 22 Brand new Skoda Yetis: petrol, diesel, 2WD, 4WD manual and auto. Hurry while stock last, very limited numbers available for very high demand vehicles. Part exchange welcome, finance available.